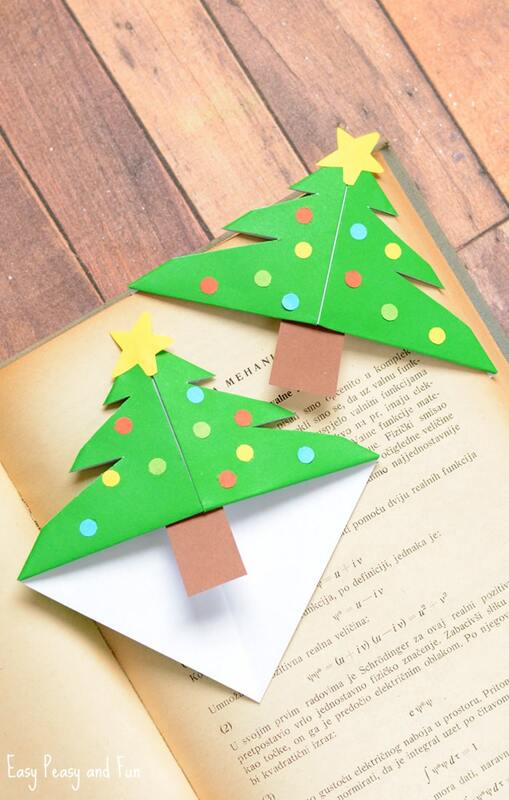 If your kids are eager to make their own DIY gifts for Christmas these Christmas Tree Corner Bookmarks are perfect! 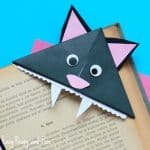 This is one of the simplest origami projects so it’s perfect for beginners and as it only takes a few minutes to make it’s also a great project for the classroom. 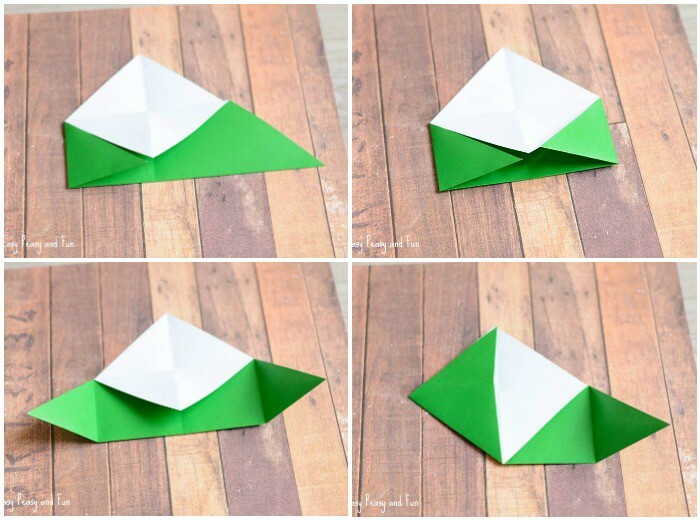 Fold the green origami paper diagonally (both sides). 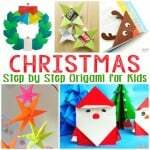 Fold into a triangle, colored side of the origami paper on the outside. 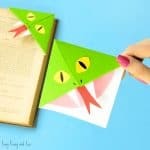 Grab hold of the top of one layer of paper (the top corner of the triangle) and fold it toward the bottom (you’ll see a white square). 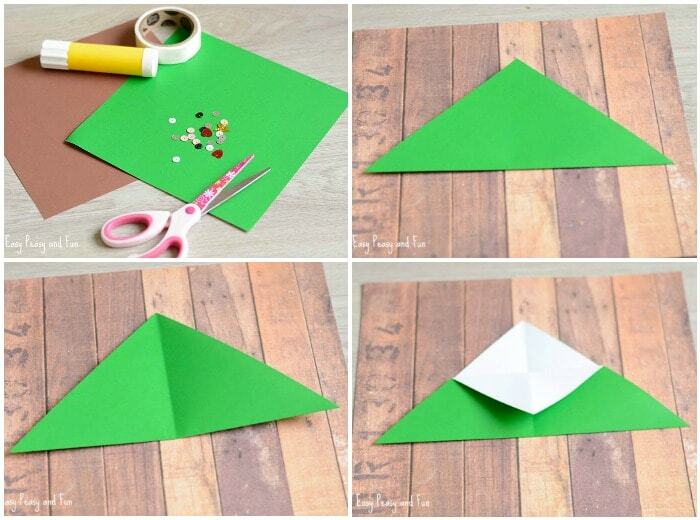 Fold both sides of the triangle towards the middle, crease and unfold. 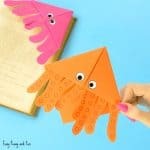 Now fold both flaps towards the top of the triangle and crease. You’ll now see a green square. 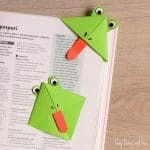 Tuck the flaps inside the pocket. 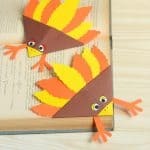 Press down and crease. 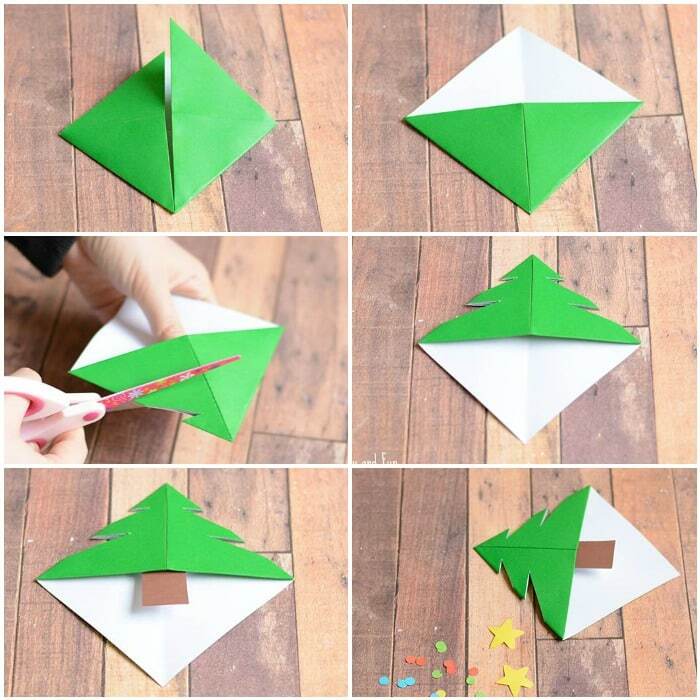 Cut the Christmas tree shape (be careful when cutting, only cut out “triangles” or the corner bookmark will fall apart). You can also leave it as it is, and not cut it out. 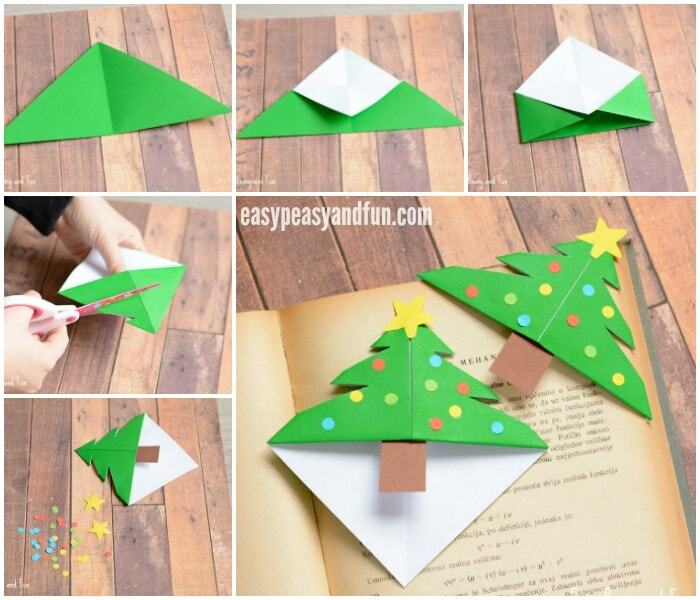 Cut a small rectangle out of brown paper and glue it in the middle. 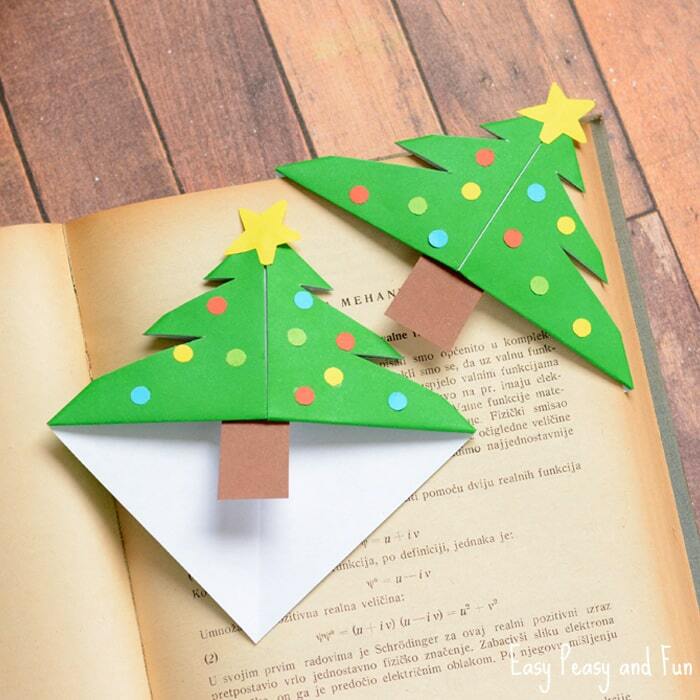 We decided to decorate our corner bookmark with paper, we made the baubles with the hole puncher and used the scissors to cut the star.